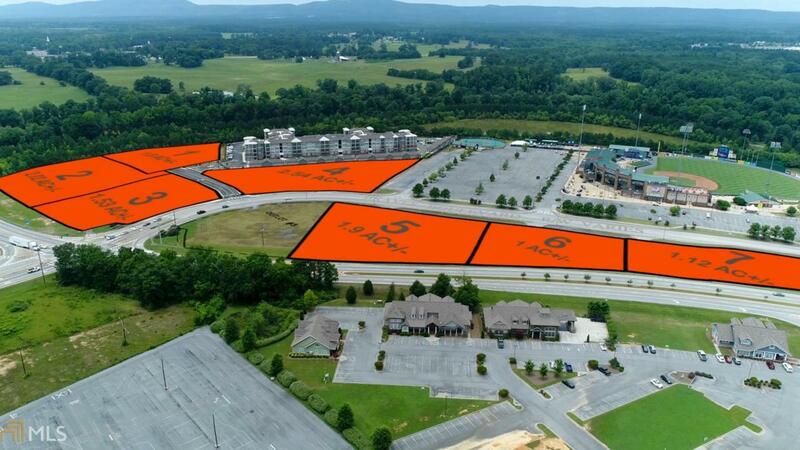 Multiple tracts of land for sale in Romes fastest growing retail corridor. Surrounded by State Mutual Stadium (home of the Rome Braves), The Rome Tennis Center at Berry College and RiverPoint Luxury Apartments. Situated on high traffic count major thoroughfares connecting to all of Rome and Floyd County. Property eligible for tax incentives. May be combined or subdivided with adjoining tracts.Zoned UMU. 1.8+/- acres.